Davon haben 3 User die Destillerie richtig getippt und 39 User mit dem Alter sowie 20 User mit dem Alkhologehalt gepunktet. 39 User geben dem Dram des Tages durchschnittlich 6.74 Punkte. 3 users guessed the distillery correctly, 39 users scored with the age and 20 users scored with the ABV. 39 users give this dram an average score of 6.74 points. I really liked the ratio of sweetness and spice. Curious how much alc it really got. Fair enjoyed this one. Very very mellow and sweet without being "over-sherried" to achieve sweetness. Easy drinking and warms up nicely. I have to say that for me there is something "wrong" with this drink. Sweet'n'mellow - yess, but some "side-tastes" that don't fit in well, imho. This is a really good stuff!It is very intense and longlasting in the taste, fresh and powerful in the nose. I like it very much and I would appreciate to have it again in my glass. Sorry to have a different opinion, I did not like it at all. Way too much soap and lavender, poorly bound-in Alcohol, sour casknotes and bitter tones. Consistency almost watery and didn't find anything sweet in it. Sure y'all didn't just mix up the numbers 18 and 19? This is a good malt, sweet and quite mild. Only the deer is unusual. It is very delicious. I think, this is my new favourite. Hmm... I have to agree with Horst. It is amply sweet and mellow, all right. However, right off the bat, I have a bitter note that doesn't go away until the end... and seems to intensify with every subsequent sip. Actually I'm with Horst and Midnight Angel, I can't make friendship with this one: After an interesting nose to my point of view there is too much bitterness in mouth and aftertaste. It's a nice dram, very nice nose, and nice fruity/waxy taste. Unfortunately after a while it lacks a bit of power end becomes a bit 'flat' and drying. So still a very nice dram, but not epic. 87 points. The best part is the nose quite fruity and sweet. The palate is not that great, a bit watery and with a slightly sour aftertaste. A good dram nothing more nothing less. Reading the other comments, A Brit might call this a Marmite whisky. For those who don't know Marmite, people either love it or hate it. I'm not a fan of this whisky. I would agree almost precisely with rottendon, except that I don't mind the "soap" on the nose, and I got some sweetness after adding water. I like this one. It's one of my favoourites of this years calendar. I think the nose is better than the palate. The nose is more intense, the taste is a bit mild. I would have prefered if the taste would have been as intense as the nose. But it is still a very good dram. The review on the website for the whisky says pineapple - and i think that is spot on. You're not supposed to eat the pineapples green! I see and appreciate your attempt, I personally compare you in a way to Speyside Distillery. Any distillery that has to market stuff like the Beinn Dubh using lies supposedly has a serious quality problem, definitely an image problem. You can imagine how surprised I was on finding out, that independent bottlers had magnificent casks on stock. With you I have no comparison since there's not many independently bottled Loch Lomonds, as you probably know. I've tried stuff from your distillery including Inchmurrin, Inchmoan and Croftenga always trying to keep an open mind, sorry to say that you never convinced me. On the over hand I am pretty sure also your warehouses carry some extraordinary stuff. So my advice to you would be to take some of that and create an extraordinary bottling, not necessarily a single Cask, rather a small batch, maybe around 10,000 bottles to show what you can achieve to the opinion multipliers. Warm and honest greetings from Germany to you hard working people! 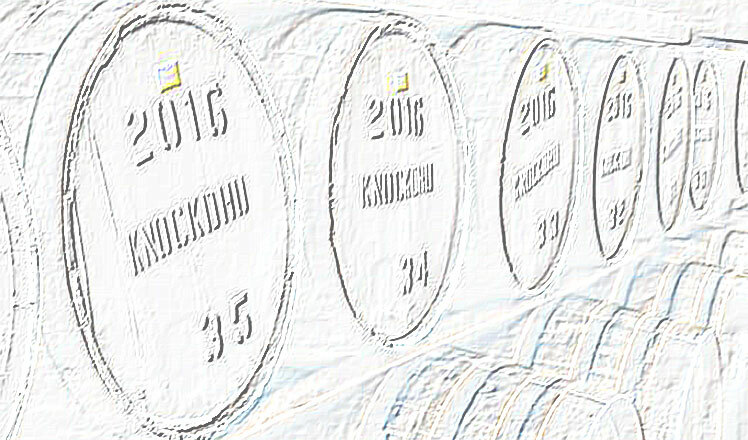 ...keep on and someday people will really care if you lose dozens of casks to a fire or leakages. P. S.: Thanks for the bottles! What is described here as "waxy" or "soap" is a kind of rubbery note for me. It is not a bad whisky, but I would not want to buy an entire bottle of it. The rubber destroyed it for me. 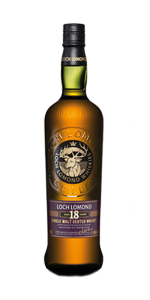 I have alway wanted to try the Loch Lomond 18 - thanks! However I did not really enjoy it as much as I had hoped.